Founded in 2010 and launched in 2011, Vaultize provides cloud-based data protection services for corporations with a specialty in the BYOD workforce. This platform allows corporate data to leave company premises through laptops, tablets, mobile devices, and more. Vaultize protects this data through encryption and secure file sharing methods and also creates secure channels for employees to access company data on any device, from any location. In terms of data protection, Vaultize encrypts files with AES-256 and on-disk Endpoint Encryption which ensures data is protected before and after it leaves a device. Vaultize also allows businesses and employees to share and sync secured data from any type of device, eliminating the need of VPNs’ or bypass firewalls. The sharing and syncing features can be centrally monitored by IT admins, so businesses can identify what data is being shared and accessed by employees. The platform’s recovery and backup services are designed to create automatic backup copies of files and to allow quick retrieval of missing data. TVS Motor Company used Vaultize to protect corporate data on laptops used by traveling employees. The company implemented Vaultize in order to create backups and recovery methods in the case of lost laptops and information. In using Vaultize’s services, TVS Motor Company was able to successfully protect their data and can now restore missing information from any location. 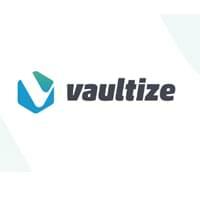 Learn everything you need to know about Vaultize. Our experts will reach out to you shortly.